Autographed Adidas Authentic Hockey Jersey. Hand signed by Auston Matthews. 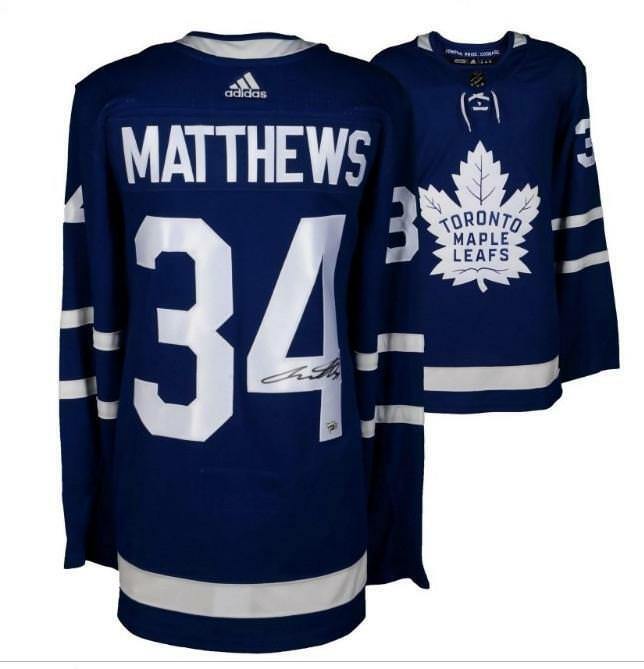 Mint condition with original factory tags, all numbers and letters are professionally hand-sewn on the jersey which is beautifully signed on the back. To protect your purchase, this item includes a Certificate of Authenticity from Fanatics with authentication hologram.